Looking for a chance to try out the newest Super Smash Bros. game? Nintendo has opened up two new opportunities. E3 2018 played home to the first hands-ons for Super Smash Bros. Ultimate. There are many who were unable to attend this event, but it's not the only opportunity for players to try out the latest entry in the Smash Bros. series prior to its December release date. On Tuesday, a few new opportunities popped up. The Nintendo Gaming Lounge will be open from 9:30AM-7PM from Thursday through Saturday and 9:30AM-5PM on Sunday. Those who can't make it out to San Diego Comic-Con will have another chance to try out Super Smash Bros. Ultimate at the biggest fighting game tournament of the year. 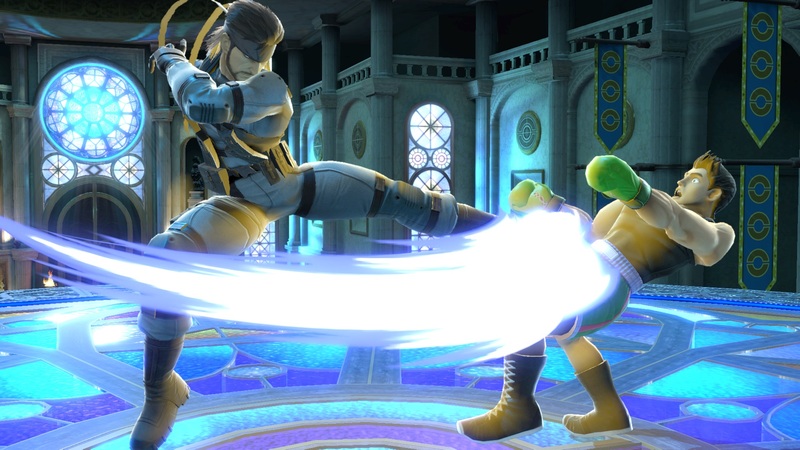 Anyone attending EVO either as a competitor or a spectator will have a chance to go hands-on with Super Smash Bros. Ultimate on the show floor. The game will be playable on Friday and Saturday. There's a lot to soak in with the new Super Smash Bros. on Nintendo Switch. If you can't make it out to either of these events, Shacknews will endeavor to stay on top of any Smash news before its release date. Look for Super Smash Bros. Ultimate to arrive on December 7.